What – When Connecticut’s servicemen went to war, they didn’t go alone. 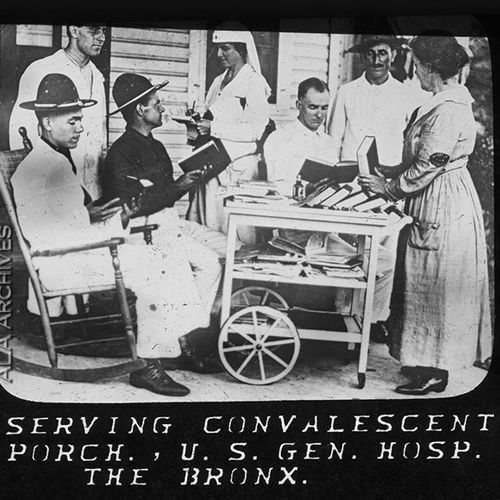 During World War I, there was the Library War Service, and Connecticut was involved in bringing books to soldiers on the front lines and in military hospitals for education, entertainment, and healing. Who – Mary Mahoney, Ph.D. Candidate at UConn, will talk about the Library War Service and Connecticut’s part in the effort.